You "May" Join Us for these Learning and Family Events! Though spring school field trips and SOLs tests are underway, the school year is not over yet! We invite families to join us for upcoming free trainings and events. On May 11, foster, adoptive and kinship families enjoy Family Movie Night in Fairfax city. We provide the whole family a light meal of pizza and salad, then children move to a room next door for a family-friendly movie and supervised child care. Parents and caregivers will engage in netwokring and discussion around family identity, prompted by clips from the hit television series, This Is Us. Dinner is served at 6 PM; videos start at 6:30 PM. The event is free but you MUST RSVP HERE. On Wednesday, May 16 from 6:30 - 8 PM, all parents and caregivers of children and youth with disabilties are invited to an evening session Navigating Special Education in Public Schools with attorney Cheri Belkowitz. Come, get a booster on special education policies and practices, and ask your legal and procedural questions. REGISTER HERE. Families Prepare for Summer Fun! We are fortunate to have a range of options for summer programming for children and youth with special needs in our region. Request a list of special needs summer camps for 2018 from the Fairfax County schools parent resource center HERE. Youth and Young Adults: Step Up and Step In! Ready to lead? 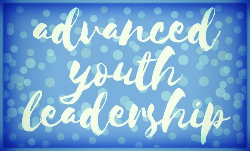 Youth MOVE Virginia is offering a free Advanced Youth Leadership Training May 19-20 in Roanoke. Designed for 16 - 25 year olds, the training connects youth and youth adults with peers and boosts personal skills. Funds are available to support travel to the training! Learn more HERE. Q: My granddaughter's case manager suggested we add a self-regulation goal to our granddaughter's IEP. Why should that be a goal for school? A: It is great news that your granddaughter's school is recognizing her need for support and instruction in self-regulation skills! A basic definition of self-regulation is the act of managing thoughts and feelings to enable goal-directed actions (Rosanbalm & Murray, 2017). As parents and caregivers know and research validates, many children and youth need support and direct instruction in developing self-regulation skills. The supportive process between caring adults and children, youth, or young adults that fosters self-regulation development is called “co-regulation" (Rosanbalm & Murray, 2018). In addition, children with special needs, including those for whom traumatic stress presents additional challenges, may need some encouragement and reinforcement when they demonstrate self-regulation and other executive functions. More information and a great overview video from Harvard University's Center on the Developing Child is available HERE. A practice brief on Co-Regulation From Birth Through Young Adulthood is available HERE. Educators, coaches, parents and caregivers, and other adults who support children can be key to building self-regulation. A series of Self Regulation Snapshots from the FPG Child Development Institute idenitifies skills for six specific age groups. In addition, Self-Regulation and Toxic Stress: Foundations for Understanding Self-Regulation from an Applied Developmental Perspective provides a detailed reporting of research on why and how trauma and toxic stress can make self-regulation so challenging. May 7- Understanding the Eligibility and IEP Process, hosted by Alexandria City Public Schools Parent Resource Center, Alexandria. May 11- Strategies and Supports for Children and Teens with Obsessive Compulsive Disorder (OCD), hosted by Fairfax County Public Schools Parent Resource Center, Dunn Loring. May 11- Family Movie Night at Formed Families Forward; clips from This Is Us and stories of family identity; Fairfax. May 14- What's Next? Options for Life after High School for Students with Disabilities, hosted by Arlington Public Schools Parent Resource Center, Arlington. May 16- Navigating Special Education in Public Schools with attorney Cheri Belkowitz, at FFF, Fairfax. May 17- Parenting in a Busy World: Mindfulness Strategies, hosted by Loudoun County Public Schools, Ashburn. May 31- Executive Functions: What Are They and Why Are They Important? Hosted by Prince William County Schools Parent Resource Center and The Arc of Greater PW, Woodbridge.